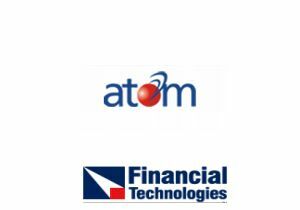 Financial Technologies-backed Atom Technologies Ltd, was originally set up in 2006 as a digital payment platform that enabled online, IVR and mobile payments for various service providers and merchants. It was one among many payment firms in India â€“ right from horizontal payment gateways like CCAvenues and BillDesk to prepaid card providers Itz Cash Card and Oxigen Services India, Obopay, ngpay and Beam, and mobile payment firms like Paymate. In March 2010, Atom decided to veer away from the crowd and turn into an integrated payment solutions provider. The outcome has been a steady rise in the number of clients â€“ from 200 in March 2010 to 500 by March 2011 and over 1,000 till date. Dewang Neralla, director and CEO of Atom, who led the change in strategy, is now expecting to reach 2,000 relationships by March 2012. A good look at the gaps in the payment process, especially in payments reconciliation, was behind the strategic decision. "There was a need to create solutions that would resolve payment issues. Each company has a niche solution for payments that best suits its specific industry vertical. But from the merchant's point of view, there was no converged solution to handle the entire payment process â€“ from transaction through to electronic invoicing and track back," explains Dewang Neralla, who is also director of Financial Technologies. The company now services clients like PC manufacturer Dell, DTH providers Tata Sky and Dish TV, petrochemical major Shell and insurance providers like ICICI Lombard and Apollo Munich Health Insurance. Atom took three months to set up its solutions. Initially, it focused upon the education vertical and readied a proof of concept by October 2010. The company also entered into alliances with various service providers to ensure that the solutions would be seamlessly integrated, without making any changes to its operational setup. The company still has on board its 50 employees who operate across its four offices in Mumbai, Delhi, Jaipur and Bangalore. Today, Atom offers payment solutions that enable payments via IVR, mobile and the Internet, integrated into existing ERPs and supply chain software and allowing electronic invoicing and reconciliation. The company offers solutions for five large verticals â€“ telecom, finance, education, travel and automobile. Around 40 educational institutions and 30 automotive dealerships in Mumbai, Delhi and Bangalore use Atom's software solutions. Also, the company witnesses 15,000-20,000 transactions on a daily basis, compared to 8,000-9,000 in March 2010. By March 2012, Neralla expects this to rise to 30,000 transactions. Currently, most service providers, such as travel sites, telecom operators and DTH providers, tend to work on integrating payment solutions with their existing ERP (enterprise resource planning) software or TDS (travel distribution solution). They either try to do it themselves or outsource it to a solutions provider. Although minor modifications and software/platform tweaks are offered by most payment solutions companies for each industry vertical, none offers to completely customise it for each client as Atom does. But this very differentiator may make it tough for the firm to market its solutions. Since it is pioneering vertical-specific customisation, Atom must be prepared to deal with lack of awareness and field ROI-related queries. Another challenge is pricing the offerings right when a company adopts a verticalisation strategy in this space, says M.N. Srinivasu, director of BillDesk, one of India's largest online payment gateways, enabling the payment of all utility bills, credit card charges, ISP charges and even taxes. But Neralla claims that offering an end-to-end solution allows Atom to charge a heavy premium, almost five times more than what the payment gateways charge currently. Then again, Atom often comes across a variety of ERP systems which prevent it from offering a consistent solution for each industry vertical. Moreover, technical issues also impede such integration efforts. Atom is focusing on small and medium businesses as it seeks to scale up. "Currently, we have large enterprises as our customers but we see increasing interest from small and medium businesses and we intend to cater to them," affirms Neralla. As of now, Atom caters to various SMBs such as mobile value-added services firm Proall Solutions, training agency Corporate Bridge, online ticketing company MyBusTickets.in, antivirus software vendor QuickHeal and jewellery-maker Jagdamba Pearls. But for smaller customers (for instance a school), how Atom manages to convert offline process to online and convince its clients to pay a premium for its services, will also determine its success. "The long-term goal is to help customers with their payment needs â€“ be it offline or online," sums up Neralla. Independent observers say the strategy sounds good. "Choosing to serve SMB clients makes sense since large corporate houses make hefty investments to develop software solutions on their own. Depending upon the maturity and robustness of the ERP solutions they have, enterprises spend up to Rs 50 lakh on payment-related solutions," says an industry expert. The opportunity is undoubtedly massive for digital payment initiatives. According to a recent report by Capgemini, The Royal Bank of Scotland and The European Financial Marketing Association, the number of global electronic payments is expected to grow from 17.9 to 30.3 billion transactions between 2010 and 2013 while mobile payments are expected to grow from 4.6 to 15.3 billion transactions. So it was not just a co-incidence that global firms have started eyeing a pie of the Indian business. Recently, we witnessed the first global acquisition of an Indian company in the space when European online payment platform Ogone Payment Services bought E-Billing Solutions. With the Indian payments market witnessing 60-70 per cent growth, Atom Technologies seems to be gaining ground by default. If the company can attract a large number of small and medium enterprises and successfully tackle the underlying technological challenges, it may prove to be the game-changer in this arena.